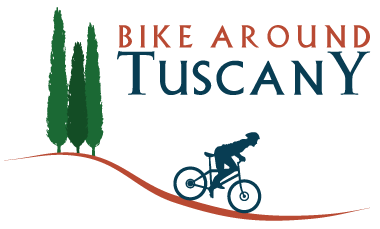 Alissa and Jason decided to go on the Bike around Tuscany wine tasting combined with a bike ride. When we met in front of the bike store they followed my advice and hopped on two “magic” bikes. Alissa fell in love with it right away and wanted all her pictures sitting ON the bike! 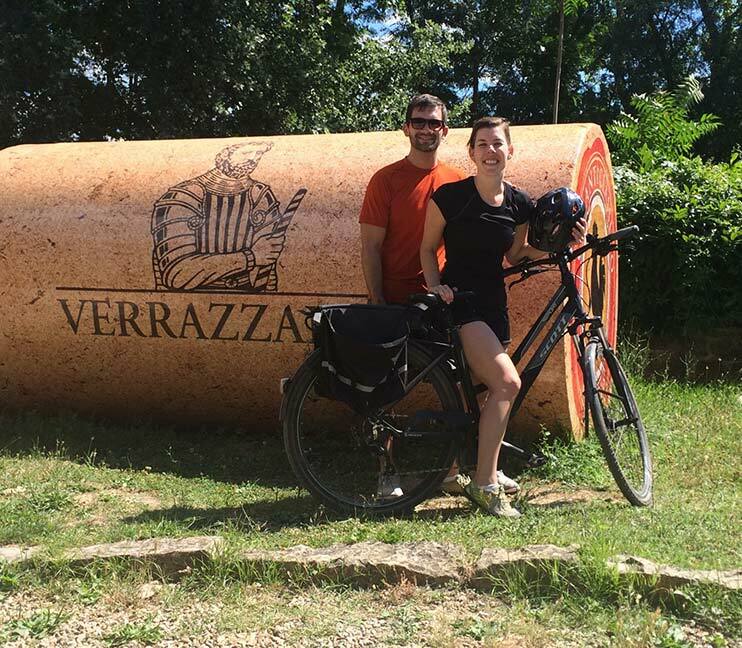 “My husband and I booked a half-day tour with Luca and it was truly the ride of a lifetime. We are avid bikers, having taken multi-day trips through Oregon, commuting to work on bikes and regularly doing bike tours in the cities we visit, and this trip with Luca truly topped them all. We spent 2.5 hours on the bikes, traversing some of the most beautiful countryside I have ever seen. The route was serene, local and clearly the work of someone who is a passionate cyclist himself who knows the back roads that couldn’t be found easily by a tourist.